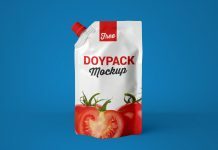 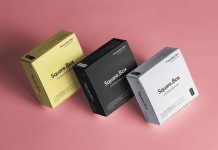 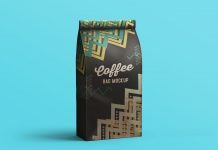 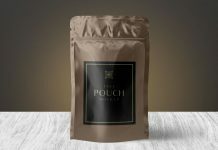 Another unique addition for today’s roundup is a kraft paper coffee bag standing pouch mockup psd set. 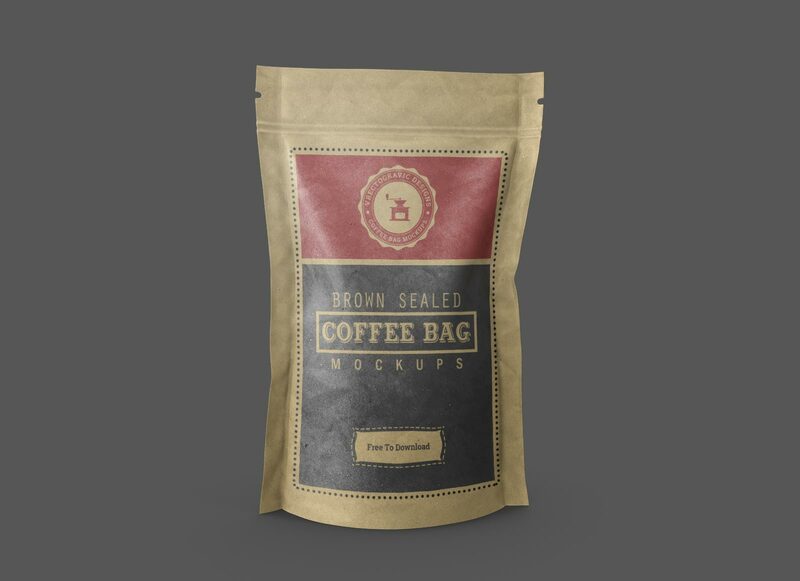 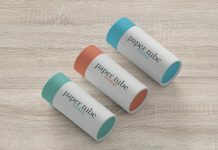 It is a side seal coffee packaging mockup specially created for kraft paper package. 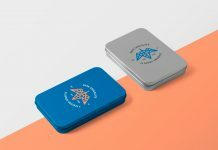 There are three different views available in zip archive. 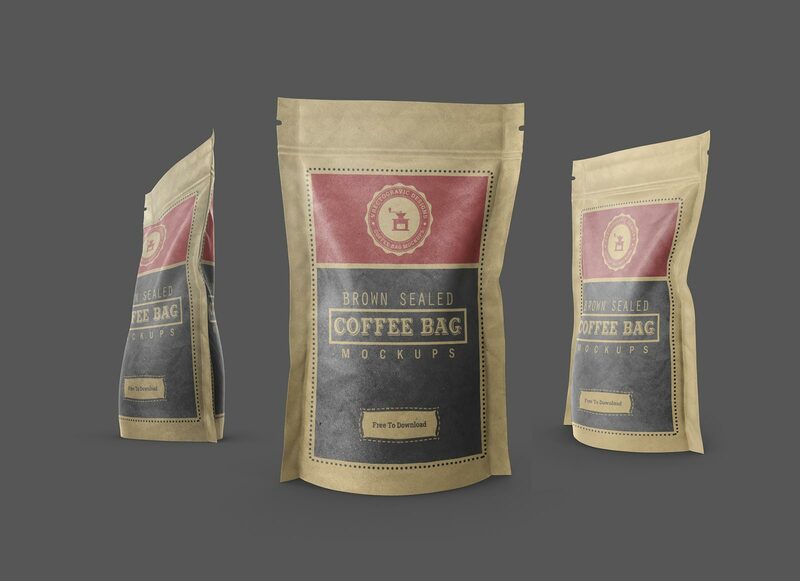 You can use any one of them or make a collage / composition like we have done on second image. 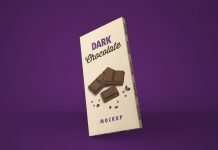 You can change the color of the kraft paper, change the effects and lighting as well as the darkness of the packaging. 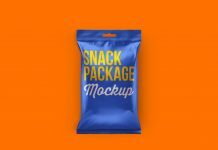 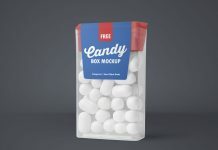 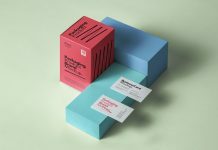 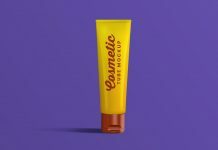 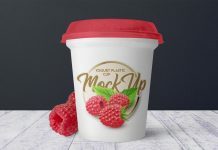 It is a fully customized mockup set created by vectogravic.